All 18 shopDisney coupons have been verified and tested today! These shopDisney promo codes keep popping up like magic so don’t worry if you can’t find one right at this moment. It’ll be back soon so keep checking for more shopDisney coupon codes online. Looking for even bigger deals beyond the shopDisney coupons? Go online and find the Tink’s Treasure page at the link on the bottom of the website. Here you’ll find the biggest markdowns that are offered for a limited time. 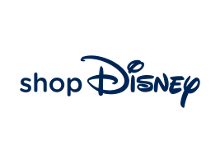 You’ll want to check back here often to find the best deals at shopDisney. Recently, you can find all kinds of BOGO 50% on hundreds of graphic T-shirts. So check out this page and see how much you can save. You can join the D23 fan club and get all kinds of freebies if you become a general member. You’ll get a complimentary weekly newsletter and special stories available on the website. Go online to sign up for free. For more benefits, you can become a Gold member or Gold Family member for a yearly fee of $100 or $129.99. Get more information on the right plan for you when you go online at shopDisney. There are so many ways to get more involved in the world of shopDisney when you attend some of the amazing free events in your area. You can participate in events like drawing classes or story time. Go online to the Store Locator and events page to see what’s happening near you. Every season brings new special offers so you’ll want to check this page frequently to find the latest deals and shopDisney coupons. You can choose from all of the magical card designs when you apply. So head online to apply for a card membership with no annual fees and start getting some of these amazing benefits. You can shop with ease online knowing that if you aren’t totally satisfied when you receive your product, you can return it within 30 days of purchase. You’ll get a full refund in store credit when you return an item. Be sure your item is unused and in its original packaging when you send it back. Also make a copy of the packing slip for your records and enclose the original one with your package. You can find the return address and more detailed information on specific returns on the website. It should take about 2 weeks to process your return.